German theologian. Originally an Augustinian monk, he became the leader of Protestant Reformation in Europe.When he publicly burned the Papal Bull against him he was summoned before the Diet at Worms and banned. His followers later founded the Lutheran Church.  To the Christian Nobility of the German States (1520), translated by Charles M. Jacobs, reported in rev. James Atkinson, The Christian in Society, I (Luther’s Works, ed. James Atkinson, vol. 44), p. 207 (1966).  "Heidelberg Disputation: Thesis 7" (1518), .  This error of free will is a special doctrine of the Antichrist.  This error about the free will is a peculiar teaching of Antichrist. The fool will upset the whole science of astronomy.  The original German is "Vernunft ... ist die höchste Hur, die der Teufel hat". 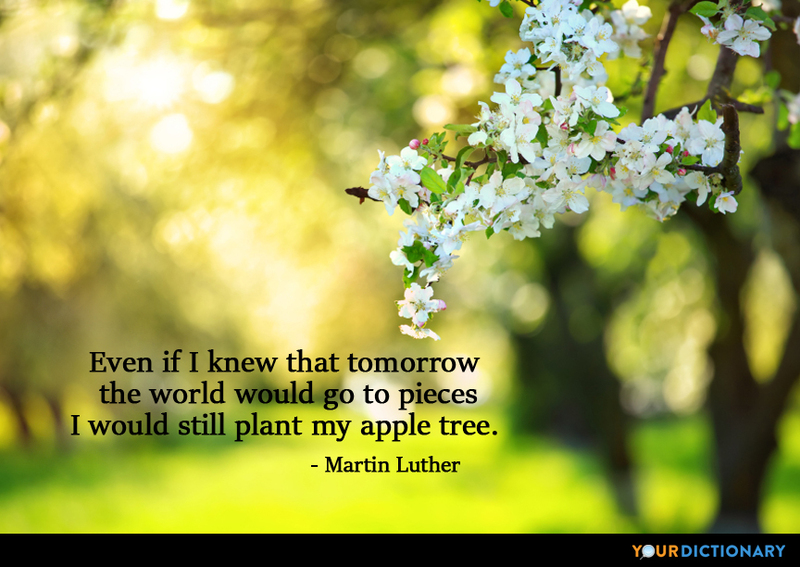  Martin Luther (1483-1546). The Internet Encyclopedia of Philosophy.  Psalm. Ein feste Burg ist unser Gott (translated by Frederic H. Hedge), Reported in Bartlett's Familiar Quotations, 10th ed. (1919). "On the 16th of April, 1521, Luther entered the imperial city [of Worms]... On his approach… the Elector's chancellor entreated him, in the name of his master, not to enter a town where his death was decided. The answer which Luther returned was simply this". Bunsen, Life of Luther.  Speech at the Diet of Worms (1521), reported in Josiah Hotchkiss Gilbert, Dictionary of Burning Words of Brilliant Writers (1895), p. 186; and in Bartlett's Familiar Quotations, 10th ed. (1919).  67. Compare "Where God hath a temple, the Devil will have a chapel", Robert Burton, Anatomy of Melancholy, part III, section 4, member 1, subsection 1.  We are beggars: this is true. Faith looks to the word and the promise; that is, to the truth. But hope looks to that which the word has promised, to the gift .